Before I had kids, I just assumed that people came pre-wired when it came to knowing emotions. If someone is crying, they are sad. If someone is smiling, they are happy. However, for many children this can be a difficult concept. I have a good friend that was a teacher and is now a stay-at-home mom. I was at her house and she had a chart on the wall for her then-4-year-old showing different cartoon emotions with labels. Even if her son didn't know the word for the emotion he was feeling, he could often point it out on the chart. If you are working with a child trying to learn the complexity of emotions, today's top list is for you! Emotionary by Me.Mu is an emotion diary tool designed for therapists (primarily speech-language therapists) or teachers who work with children and adolescents with autism, autism spectrum disorders, or similar mental disabilities. Understanding emotions is necessary in the development of social skills and empathy. While typical therapy often emphasizes recognition of emotions through flashcards, Emotionary by Me.Mu emphasizes the contexts in which they may appear. PLAY LEARN GROW: Succeed at school, with friends in life! IF... The Emotional IQ Game! Your child will fall in love with this groundbreaking game and so will you. Improve the quality of your child’s life by giving them the tools to help them manage their emotions in a healthy way. Are you feeling delighted? Astonished? Anxious? Feel Electric! explores all these emotions and more! 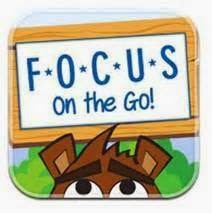 Part of the Military Families “Finding the Right Word” initiative, this app offers engaging tools that use content and curriculum from The Electric Company to provide opportunities to explore emotional vocabulary and self-expression. Hosted by Electric Company cast members Jessica Ruiz and Danny Rebus, Feel Electric! features three fast-paced games, a digital diary to record daily moods, a zany story maker, and more! Feeling Cards features four video modeling calming poses and over 75 emotion photographs. These poses include: gross motor imitation skills as well as other movements developed to calm the body. The feeling/emotion cards include basic emotions such as angry, sad, and mad, and also explore more complex ones such as confusion and boredom. Touch and Learn is a powerful new gaming platform that allows you to introduce new concepts in a fun and exciting new way. This app focused on helping kids read body language and understand emotions by looking at gorgeous pictures and figuring out which person is expressing a given emotion. Identifying, understanding, and responding appropriately to emotions is a very important skill for every child. In this application we cover over 20 different emotions via gorgeous flash cards and interactive games. Access to the Bitsboard catalog including tens of thousands of gorgeous flashcards and carefully curated lessons covering hundreds of topics. Bitsboard is fully customizable to meet your specific learning needs. Acknowledgement of emotions and feelings. For children between two and a half years and eight years. The stories are structured around adventures that Anna and Pete live to recognize, learn and put in practice different feelings such as fear, sadness, happiness or anger. Contains in-app purchases for more stories. Comes with first story dealing with death for free. Emotions, Feelings and Colors will get your child ready for school with these fun Arts and social development educational games for kids! Poko, Bibi and Minus learn about emotions by watching short animated stories and explore painting by playing with primary colors. Your child can play different games with them: by choosing little pictograms that mirror the expressed emotions or by selecting and mixing colors for Poko’s drawings. 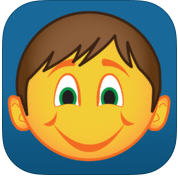 Feelings with Milo is an emotional literacy app that teaches kids about feelings. The app strives to help children understand and, in the context of supportive relationships, learn to manage their emotions. 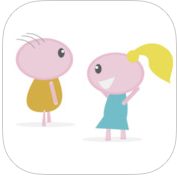 This simple, fun App provides the opportunity for parents and therapists to explore emotions and demonstrate that feelings, however powerful, come and go. Children identify the image of Milo that best represents what they are feeling. This allows them to see that their feelings are normal. Lillian Vernon presents its first animated, personalized children's storybook for all Apple devices. Dusty D. Dawg Has Feelings Too is a children's book specialized for the iPhone, iPad and iPod Touch. Kids will read along and learn about exploring their feelings with Dusty D. Dawg. Rachel H is feeling a little grumpy, but that is probably because she is starving and ready for lunch.